The Comoros is a volcanic archipelago off Africa’s east coast, in the warm Indian Ocean waters of the Mozambique Channel. It has a population of 734,917 and GDP per capita of USD 814. Strengthening the regulatory role of the organisation to improve public health monitoring (epidemiological, drug surveillance, etc.). Definition and execution of health policies aimed at diminishing inequality and inequity. Improvement of the quality of health care. Establishment of public health policies targeting disadvantaged population groups. Strengthening the decentralization and de-concentration of the health services furnished by the organisation. Reduction of infant mortality; maintaining immunization coverage. Development of methodologies and health promotion models for programs and interventions; improvement of public information systems (mass communication). Introduction of national activities to improve the environment and reduce environmental risks to the population’s health. Prevention of emerging and re-emerging diseases. AHO with the managerial ability to meet the cooperation demands of the health sector, through a participatory management style. AHO has strengthened the development of inter-sectoral health coordination. The managerial capacity of the organisation permits adequate use of technical, administrative, and financial resources. Joint activities established with partners, the municipal governments, and regional bodies. Participation by the organisation in interinstitutional coordination activities, strengthening international cooperation in health. To strengthen multi-sectoral strategies conducive to the achievement of healthy living spaces, lifestyles, and living conditions, and of public health services oriented to disease prevention and health promotion. Healthy public policies endorsed and adopted at the national and local levels. Health literacy and priority aspects improved in priority population groups. Multi-sectoral strategies aimed at improving public health levels promoted and adopted. Social participation strengthened in projects and programs of the health sector. To control and reduce the risk and determinants of priority communicable and noncommunicable diseases through technical cooperation with the national prevention and care programs. Inclusion of promotional strategies and a population-based approach when controlling the main common risk factors for noncommunicable diseases in health services. 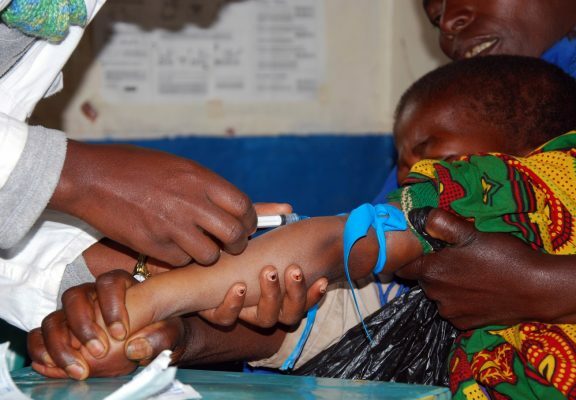 National Immunization Plan and control of prevalent childhood illnesses strengthened. Prevention, surveillance, and control of prevalent and emerging communicable diseases strengthened. Veterinary public health strengthened in the surveillance and control of zoonoses and food safety. Regional technical assistance provided for the prevention, surveillance, and control of malaria disease. To address environmental conditions that generate or facilitate changes in the population’s health through strategic coordination of the institutions and sectors involved. Inter-sectoral and interinstitutional capacity to carry out sanitation projects and activities strengthened. Improved national capacity to act through different sectors and institutions to improve environmental quality. Scientific and technical information disseminated: information infrastructure necessary for AHO cooperation to the country created, through the supply of relevant, up-to-date information in the priority areas of the sector through databases on the Internet, CD, and/or servicing users of the sector. Scientific output of AHO disseminated through promotion at the national and/or regional levels. Quality of the country’s health situation diagnosis and use for adequate monitoring and analysis of the situation improved, with emphasis on the detection of inequalities in risks, threats, and access to health services. Human resources in health upgraded to provide services that will meet the health needs of Comoros’ population. Improved quality and coverage of personal and population-based health services; primary health care strategies strengthened. AHO estimates that it needs to spend at least USD100 per capita on health to meet the basic health needs of the people in Africa. This is too far below developed countries e.g. in England it is US$1,300 per capita (2017).